Does God answer our prayers? A common question is that if a person believes in God and prays to him, why doesn't he answer his prayers? A person invokes Allah for this or that particular thing, and the opposite happens! The core of these questions is actually the query "If God is All-knowing, Omnipotent and Omnipresent, why pray to him in the first place?". The meaning of the core question is simple: if God already knows what we want and need, why even bother invoking him at all? The answers to these queries are found within the Qur'an and the Sunnah. 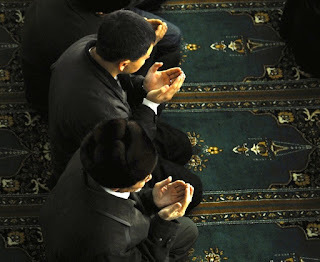 The Prophet Muhammad صلى الله عليه وسلم has said "Du'aa [invocation] is the core of worship. ";الدعاء مخ العبادة. He is also reported to have stated "Du'aa is worship". Therefore, we are to learn from these statements of the Messenger [Peace and blessings be upon him] that asking Allah, invoking him is an indicator, a strong sign, of being truly connected to him. It is true that the Qur'an teaches that God is all knowing, all aware, all seeing and is even all good [the latter is found within another hadeeth]. He knows what you want and what you need, yet the need still exists to invoke him. If that is the case, why does he not answer? Allah does respond. 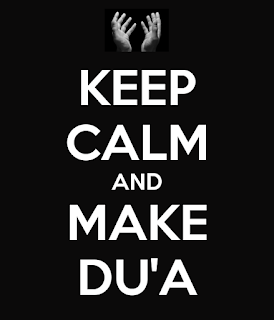 The Qur'an tells us directly Allah's statement on this issue: "I respond to the du'aa of the caller when he calls Me." اجيب دعوة الداع اذا دعان . So Allah does hear, he does see, and he even responds, however, it is not always the response we want! It is because Allah is the All-knowing and the all aware that he does not always answer our du'aas the way we want them answered. This ayah gives us another teaching, supplications to Allah can be spontaneous, however they should as a general rule be thought out, and connected to genuine human efforts. After all, if God grants all we ask at the moments we ask and in the precise measurements we ask, that would breed laziness, stagnation and stunt creativity. Call upon Allah.The Prophet Muhammad has taught us that good opportunities are found in the rukoo', the sujood, after the Tasleem [the concluding act of the formal salaah], and Fridays. 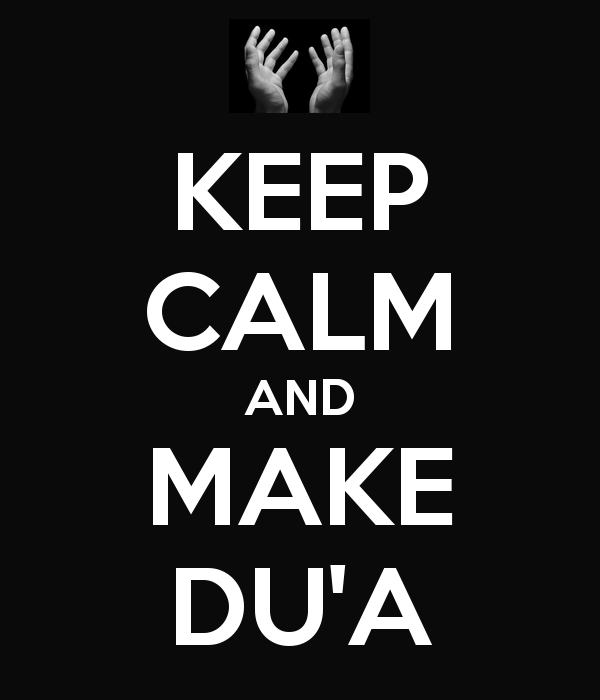 Whenever you make du'aa, be sincere therein, and think deeply on what you want to invoke him for. Natural disasters and oppression by man sometimes causes people to either deny God's existence or to view him as cruel and capricious. Philosophers and theologians of every religions have been discussing this for countless generations. Facing catastrophes, bey they natural or otherwise, have the effect of bringing us closer to Allah and to each other. It is said that it is only when facing disasters that one discover's one's true friends. Other related texts on this subject include these following profound Quranic verses. "Praise belongs to Allah, who has created the heavens and the earth, and made darkness and light." [Q 6:1]. We also read : "Say: I seek refuge with the Lord of daybreak, from the 'sharr' he has created." [Q 113:1-2]. The term 'sharr', usually translated as 'evil', can also be rendered as 'harm' 'source of injury', even 'fires of youth'. So these things happen by God's will within the Sunnah of Allah, with a wisdom therein which we can't immediately see, but often see later on in life! Allah's Sunnah is to give us lessons by using our selves or by seeing the lessons in the experiences of other people. So if we think we are experiencing problems, we should address them by turning closer to Allah Our Lord, and to our deen. When our supplications aren't answered in the way we want, consider that the thing we are praying for may be harmful in the long term. Some people think that weaknesses or sins are a barrier to worship, that any acts of worship they do would end up being hypocritical, so they consequently will not pray. Eventually, the effects of salaat enter our hearts, our arms and our legs, so don't let weaknesses or sins discourage you from Allah, from remembering and worship of him. We begin by referencing two reports from the Prophet, upon whom be peace. "The most virtuous (type of ) dhikr is: 'Nothing deserves worship except Allah'". افضل الذكر لا اله الا اللهHe is also reported to have said "Whosoever proclaims Laa elaaha ill Allah, has entered Paradise." من قال لا اله إلا الله دخل الجنةThere are many other ahadeeth that carry a similar message, explaining to us the benefit of له اله الا الله as a statement. However, it is as a concept that we have to deeply ponder and remember that is important. In our Khutbahs here we typically say therein "None deserves worship except Allah, He is alone, has no partners" لا اله الا الله وحده لا شريك له . Practically, we can recite this statement and similar statements, but what does it all mean? In our recent spirituality session (1) we shared a powerful observation from Imam Al-Ghazzali(2). While he is admittedly speaking on the statement Allahu Akbar [recited at every movement during prayers], it is just as applicable to 'Laa elaaha ill-Allah'. Indeed, we even have it in the Sunnah that the Prophet joined these phrases [by reciting Subhaan Allah, walhamdulillaah, wa Laa elaaha ill Allah WaLLaahu Akbar]. Imam Al-Ghazali said "For example, the meaning of Allahu Akbar [God is greater]-if one does not know this meaning, he is ignorant." 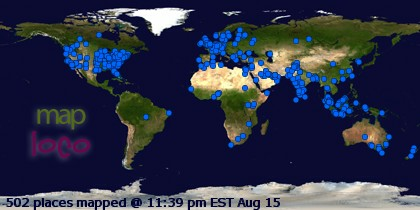 This is understandable, after all, we all are ignorant of something. The Imam continues ;" If he knows it, but there is something greater than God in his soul, he is not truthful. It will be said to him: Those words are true, but you are speaking lies! Whenever something else is more obeyed than Allah The Most High, that thing is greater to him, his object of worship, his 'god' which he serves." We know that idea is a mistake, we don't worship the Ka'bah, and bowing does not imply worship. We seek to address that by pointing out that in many cultures there exists a custom of bowing, to teachers, to parents, elders and the like. That bowing does not imply worship! Tauheed [perceiving God as one and alone] is more than simply not bowing to idols, and, as we should have realized, even the bowing to things is not a big deal in the long run! To uphold Tauheed, one is to take as priorities what Allah says are priorities. The worship of Allah alone translates into proper thinking and proper action. So Imaan [faith] in God alone as God is connected to angels, to angelic behavior, knowledge and science, to justice and fair play. We see here CORRECT THINKING and CORRECT ACTION. So do take heed of Laa elaha ill Allah, because when it becomes a conscious reality, you will deserve paradise, which begins here and is fully manifested in the next life. We seek Allah's guidance, forgiveness and mercy. Often in the Qur'an, we find that Shirk is connected with injustice and even hypocrisy(3). Soorah Al-Munafiqoon [Chapter 63] and Soorat at Taubah [Chapter 9] are good places to research this. So we want to be true servants of Allah alone, we want to be people oriented upon Tauheed! Whosoever obeys Allah and his messenger have achieved a mighty achievement. [Q 33:71]. How do we obey Allah? We obey by seeing him correctly as the only one deserving worship. How do we obey the Prophet, the Messenger? We obey him by emulating how the Prophet connected to his Lord. Notice the verse is speaking on those who have hope in Allah, who recall Allah and long for his presence and blessings. That teaches us that we should not take Islam for granted, that we do like the Prophet [Sall Allahu 'alayhi wa sallam] would do, continuously seek out and strengthen our ties with Allah. We work to internalize the teaching that Allah alone deserves worship, not our whims, egos or delusions. This session can be found on Youtube.com under the title How to develop and maintain a Healthy Islam by Imam Shamsuddin Waheed. Imam Abu Haamid Muhammad Al-Ghazali [ 1058-1111] was a great scholar and spiritualist. His writings are profound and cover so many aspects of Islam that he has been given the title Hujjat Al-Islam [the evidence of Islam], a rare honorific among Sunni Muslims. Many academics have proven that Imam Al-Ghazali's works have influenced such Christian theologians such as Thomas Aquinas!